You can set the time in seconds, minutes, and hours. 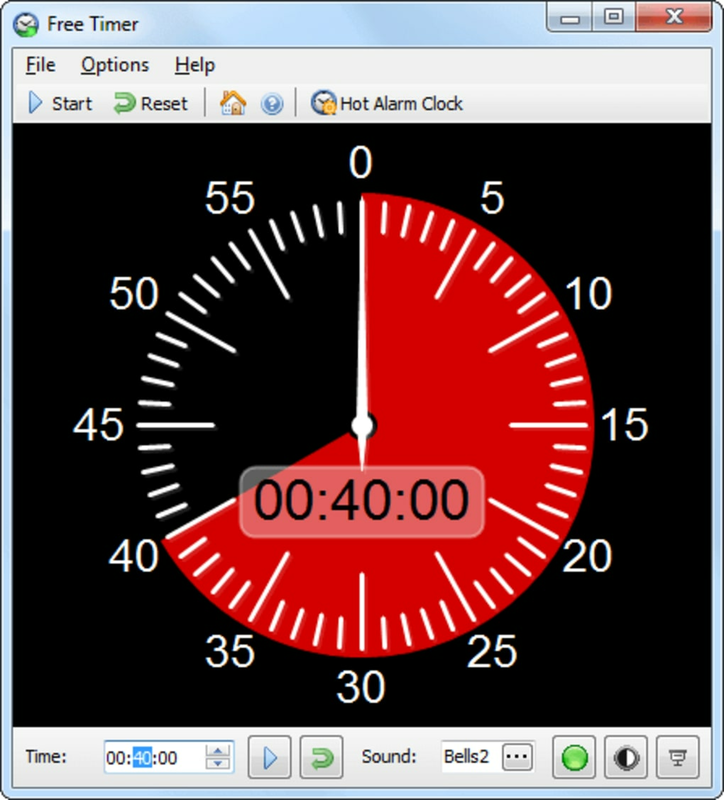 The colored section of the clock face will display the time corresponding to the interval you set. Set an interval and press Start. When Free Timer finishes the countdown, the music you have selected will start playing and the timer will stop. Also, several instances of the timer can be ran at once, and colored to indicate what each one is being used to time. Home user, School, University, Classroom, Student, Householder, and any other activities which require limits to be set. 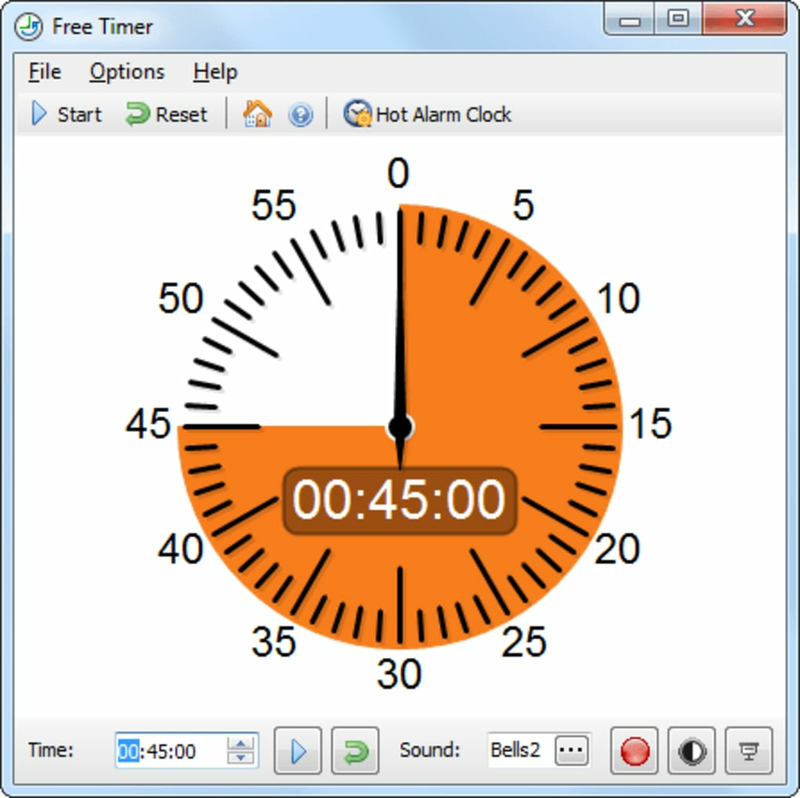 The first free colorable countdown timer. Set an interval and press Start. When Free Timer finishes the countdown, the music you have selected will start playing and the timer will stop. You can select which music or sound will play and how many times it will repeat. You can change the color of the countdown section, and you can also change the background color from white to black (Negative). What do you think about Free Timer? Do you recommend it? Why?